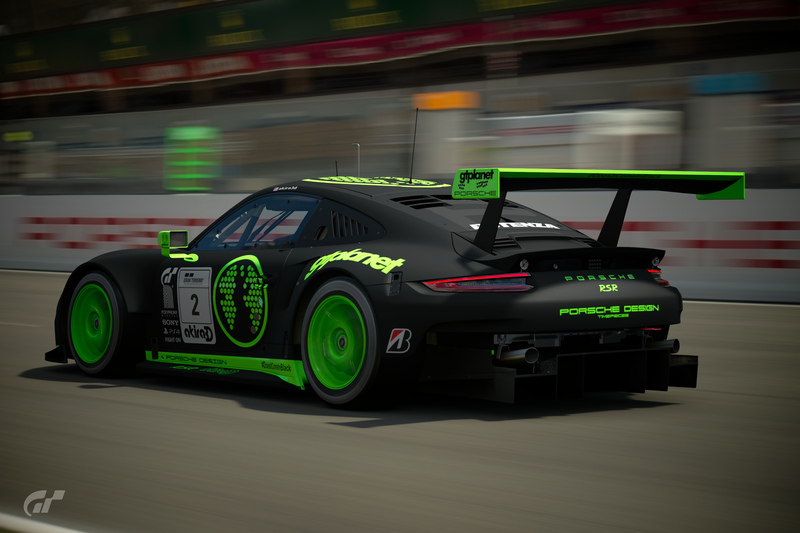 Discussion in 'GTS Livery Editor' started by Cytoria, Apr 5, 2019. Which one is the best GTPlanet livery ? This month, we are celebrating our competition anniversary! 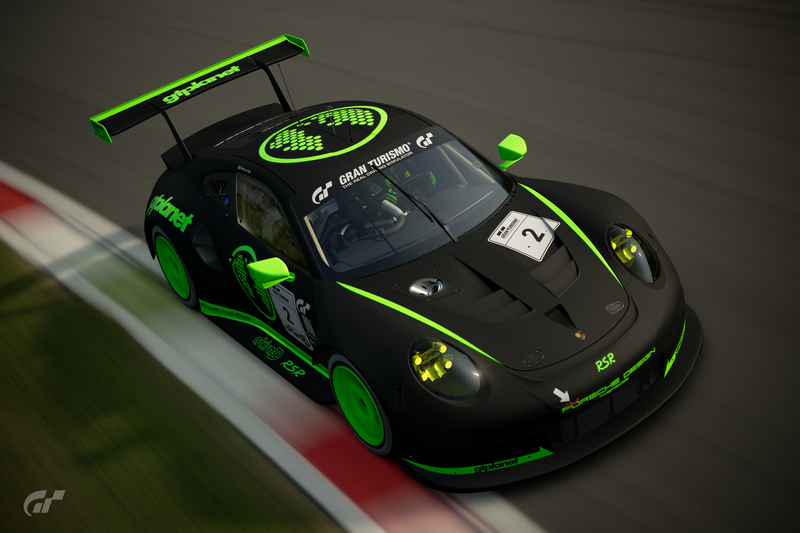 Exactly one year ago, our beloved @syntex123 launched the GT Planet Livery Editor Competition. 52 weeks and 26 rounds later, we're still here to have fun together with great people, sharing liveries as much as friendship. Like the second round of the "main" LEC, we want you to create a livery to celebrate our website, to thank @Jordan and all the staff for this place where we gather together. 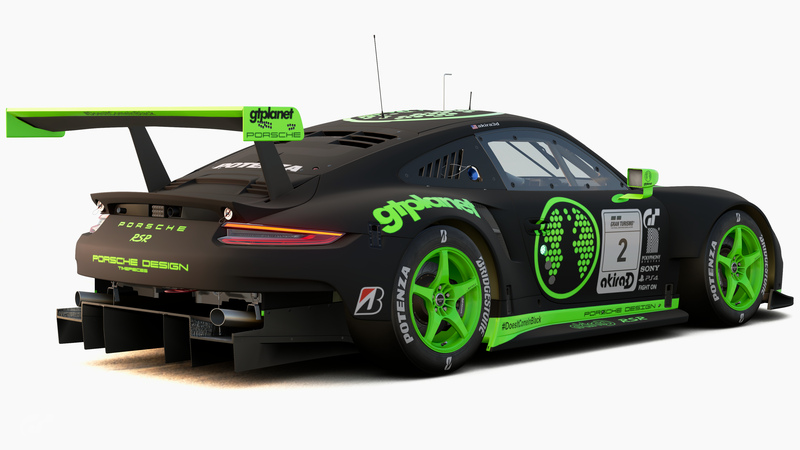 - The main sponsor of the livery must be GTPlanet. This unusally long term will leave two full week-ends to vote, as I hope we can get a front page article to drag more voters here. You can vote for 3 entries. You can NOT vote for your own work. At the end of the poll, the TOP 3 cars will be nominated, and @Jordan will be the final judge to select the winning design. All the bonus pictures are shown under the spoilers, but I invite you anyway to take the time to browse the main subject to read the stories behind these liveries! RaceFuchs, AgentBlackDog and Jordan like this. 27 : It was about to happen. The Super Formula became availlable last week and like a F1 qualification session, the livery was uploaded very fast and all the lines and decals are placed in the right compilation. 37 : This livery surprised me. Instantly I had a flashback to GT4, like the White FordGT on the cover I think. The livery is also a retro, suitable for a small team, rallying with the Subaru. Danguil63, Baliwa, KK78 and 2 others like this. Really need about 20 votes. The whole time I'm scrolling down, I'm thinking. Vote for that one, vote for that one, by the time I got to the bottom, I had a full list of contenders. JamCar0ne, Sian, Baliwa and 3 others like this. I honestly thought about splitting in two polls to get six final contenders. But I couldn’t end with a « fair » cut (1-20/21-40, even/odd) and I didn’t want a reason for people to complain, as (I know I repeat myself a lot) I want this to be a tribute and not a competition. It will be very hard to pick only three (or 5, or 10). Good luck for everyone ! Azabear6, Sian, KK78 and 3 others like this. Sian, KK78 and YukinoSuzuka like this. No. 6 - I love the color and design combo that I'm seeing on the R8. It's what I want for one of my Audi R8 LMSes. No. 7 - It reminds me of Masato Kawabata's D1GP GR Supra and I like it. No. 28 - Touche on the almost invisible flags shown on the rear bumper of the M4 Safety Car. Gotta give props to no.22 and no.28 though. If I had more votes, would've given to those two. AgentBlackDog, teensonacid, Snaeper and 3 others like this. Hardest to choose far. Well done all. #24 - I really liked this design. Not over wrought, very similar in concept to my own (only GTPlanet stickers appearing) and good use of the red and blue lines. Adult me would've done without the flames but little kid me is super stoked to see flames on the side of a car. #27 - @Baliwa has a running record of being my 4th vote so it was a huge relief for him to make it so easy for me to give him a vote this time. Truly deserved it, although I wish I had waited a bit to submit my entry as it being right next to yours makes mine pale in comparison. #34 - I knew this was going to do well and there was a part of me that wanted to "vote strategically" but then I'd just be lying to myself and to @Cytoria . I can't help but feel a lot of design connection to the Peugeot VGT from the first time around and I still can't decide if that's a good or bad thing but it's an excellent car. Big thanks to the guys who have voted for my entry so far, I appreciate it! AgentBlackDog, teensonacid and Baliwa like this. What an incredibly difficult poll to vote on and massive props to all who entered. A great looking field of cars for this competition and a testament to the talent of the LEC community. #9- Gorgeous work on the McLaren. A truly exceptional livery with shape and line work that stands out even in a field like this. Pulling it off on a chrome base is a testament to your skill. Excellent job! #18- I don’t normally love the Anime type liveries, but the colours and shapes just work on that Supra. You’ve got a good eye! #21- One of my favourite liveries I’ve seen period. The design you’ve come up with is 100% on trend with modern Le Mans cars and a brilliant representation of the GTP colour scheme. Everything is exactly how it should be. #22- This livery has a real texture to it which creates a lot of visual interest. The entrant names is a great inclusion for a celebration Comp like this and the livery somehow feels very clean and simple, without sacrificing detail. Nice work! #24- This livery feels so smooth and subtle that I really had to stop and have a proper look at it. In a world where bright colours attract attention, it takes a brave person to play in the shadows. Your livery somehow stands out while feeling classy, restrained and mature. Excellent work. #27- This one honestly floored me. The contrast, decal placement and colours carry a weight of professionalism not often seen on high teir real race cars. Great visibility for sponsors and a very edgy, modern feel. This looks like it’s a chance of becoming the winner, and I think it deserves it. #31- This is a livery whose bonus pictures really elevate it. Detailed, moody and very well restrained. It feels like a GTPlanet inspired GT5 stealth car and the use of dots, as a nod to the logo, creates a great brand identity. #34- A very clear and solid celebration of the site and the game that birthed it. A very worth shot at the title by a very talented artist! #36- A livery that is very well tailored to the car that it’s on. It’s hard to do white right, but you’ve got it spot on. Very balanced and sharp. Great design! To all other entrants, fantastic job! There was so much I enjoyed about so many of these liveries but id be here all day if I talked about them all. You guys are all improving week on week and it’s fantastic to see this competition continually elevate as time goes by. D-Max, Raphaele, Slender_Man and 4 others like this. teensonacid, AgentBlackDog and Hayden like this. No time for details but #1 #27 & #34 because I had to make a choice. So many great liveries sorry for the others who could have deserved my vote too. And thanks to @Sjaak for the vote! AgentBlackDog, Sjaak and teensonacid like this. #11 - Whilst not an instantly recognizable GTP livery (not enough black) it's a nice tasteful design with a clean almost 'fresh' feeling. #12 - The design is relatively simple but I like the colour changing aspect which would work nicely for a one-make series supported by GTP. #27 - I'm not normally a fan of single-seaters, but its a nice livery and suits the brief well. Extra kudos for the speed at which the livery was made whilst still maintaining a high quality. teensonacid and Sian like this. For me its 3, 22 (my personal winner) and 27. AgentBlackDog and YukinoSuzuka like this. 48 hours left for the poll! chrisspeed281 and Cytoria like this. I have to say, #27, #19 and #26 are my personal favourites. By the way, good luck, guys! Baliwa and Cytoria like this. #5, 9, 10. At time of my vote, #9 was third. They were ALL amazing though. 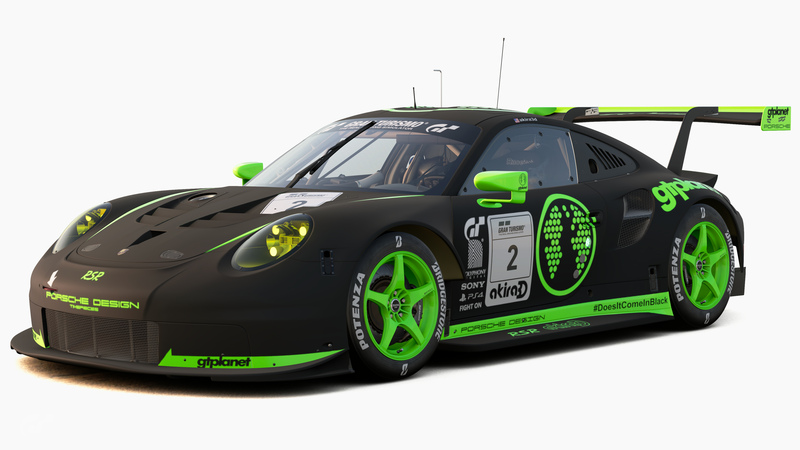 #27, it uses the right colours, the GT Planet logo is clear and the right size and it's a high quality livery too. All of them very good entries but that one beat #3 and #36 for me. D-Max and Baliwa like this. 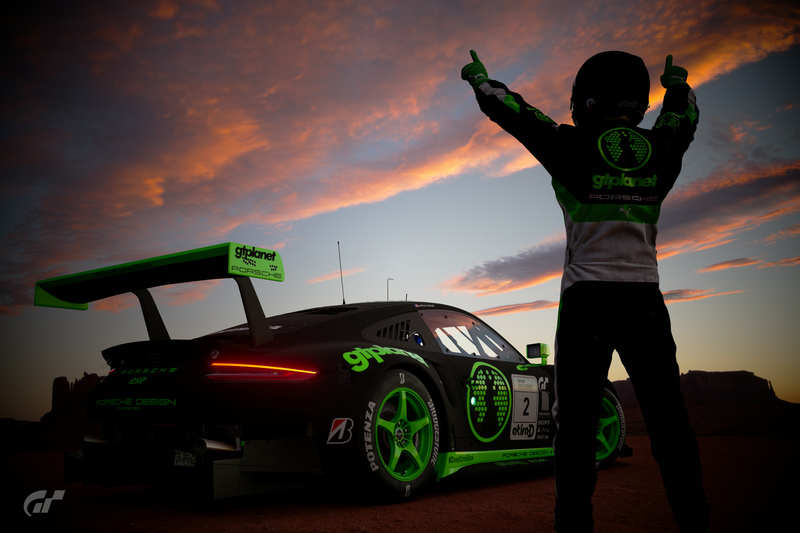 My GT Planet Livery, out of competition. Cytoria, Baliwa, YukinoSuzuka and 3 others like this. i must be honest and say none of these impress me to the point that i have a favorite or winner! I've given my livery a little remix because I got a bit intrigued by how it would look with the more traditional white base paint with full gloss finish, and a few minor changes and additions. I really like it like this! Sian, Snaeper, Raphaele and 4 others like this. The poll is now close, and we have our final trio! Congratulations to @Baliwa , @Azabear6 and @Cytoria . It's now up to @Jordan to decide! @Baliwa is known here for his quickness in the LEC. Despite being (almost) always in the first to post his entry, his quality is still very high and he is consistently in the top 5 of the LEC rankings. Get the livery here (SF19 with Honda chassis). @Cytoria is the co-runner of the LEC with @syntex123 . At the opposite of Baliwa, he is often the latest to post his entry. Get the livery here (Ford GT LM Spec II). @Azabear6 is one of the most productive livery creator, but that doesn't impact the quality of his realisations and the glorious pictures to showcase them. With more than 5100 followers in the game, he is also one of the most popular around here. Get the livery here (McLaren F1 GTR). Despite not being in the final trio, I want to add a special mention to the 4th : @McDotter may not reach the podium this time, but we all have to thank him and @Maninashed for the work they put in the SVG request thread, where they use their time and skills to help numerous people. Thanks everyone for the entries ! Sian, chrisspeed281, AgentBlackDog and 11 others like this. Going to be a tough call for Jordan. @Baliwa just stands out so well. I was waiting on the sf19 to come out to do a livery on it and when I checked the thread and saw this, I just said out loud ‘nope’ and just reverted to the corvette which I’m very comfortable with. The livery is just outstanding. Not to take anything away from anyone else but as mentioned, it was the quickness and just all out quality of it that just deflated me but made me love it instantly! Congrats to everyone who entered, there was so much quality and attention to detail that trying to pick 3 did my head in. All the best guys and thank you all for the inspiration. I've been avoiding the competition threads so I wouldn't bias myself to any designs before the judging officially begins, and now that I've had a look at the finalists... wow! I have been staring at the images for the last 20 minutes or so, and I've already changed my mind three times! I am going to have to step away and give this more thought before coming to a final decision. I will try to not leave you guys hanging too long... but this is hard! Sian, Hayden, Raphaele and 6 others like this. AgentBlackDog, Azabear6, Baliwa and 1 other person like this.